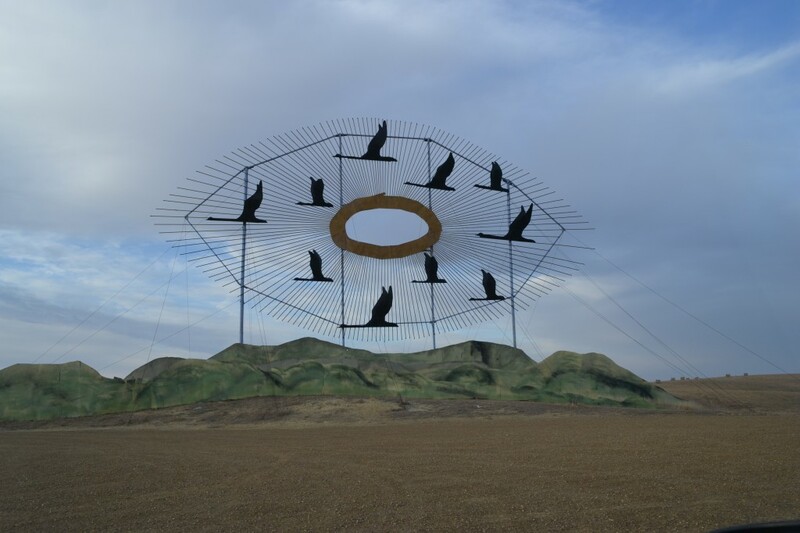 The first attraction that beckons you off the interstate at Gladstone, ND, called “Geese in Flight,” is a 110-ft tall, 154-ft wide piece that is Guiness-certified as the World’s Largest Scrap Metal Sculpture. It’s an eye shape with geese portrayed as flying westward. 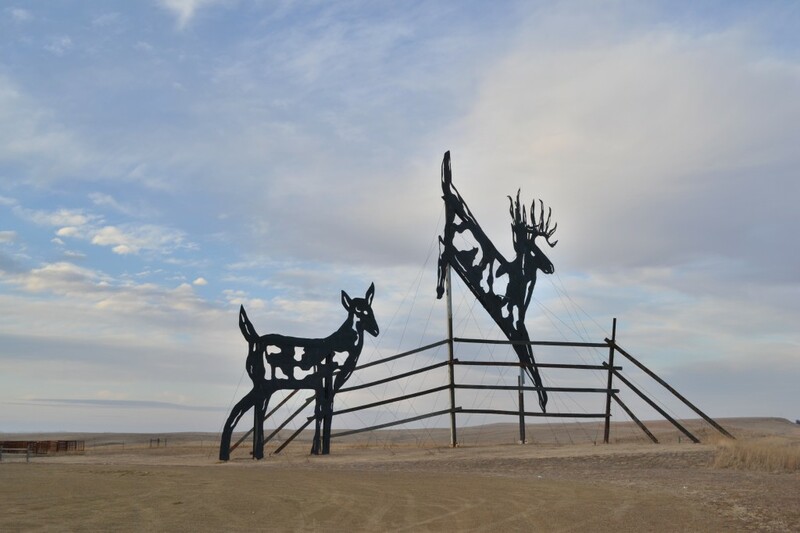 Heading south on the Enchanted Highway, the next stop on the journey is the “Deer Crossing.” This depiction of a stag jumping a fence and the doe behind him are about 75 feet tall and made from old oil well pipes. As you travel merrily down the road through scenic farmland and rocky butte country, you’ll come across the next checkpoint, “Grasshoppers in the Field.” It should be noted that this whole experience was the brainchild and labor of love of one man, Regent resident Gary Greff. 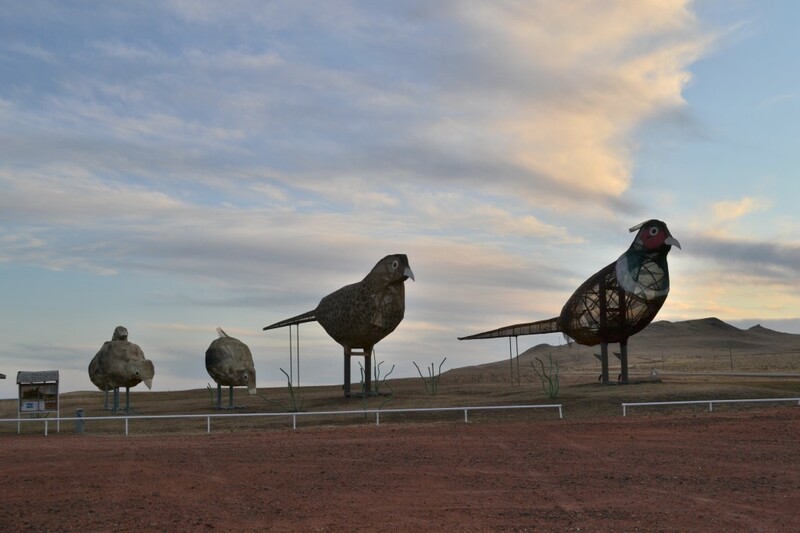 Site number 4, “Pheasants on the Prairie,” is right at home out in western North Dakota. This is pheasant hunting country, and these birds are all over the place. You will undoubtedly see them scampering about on this stretch of concrete. 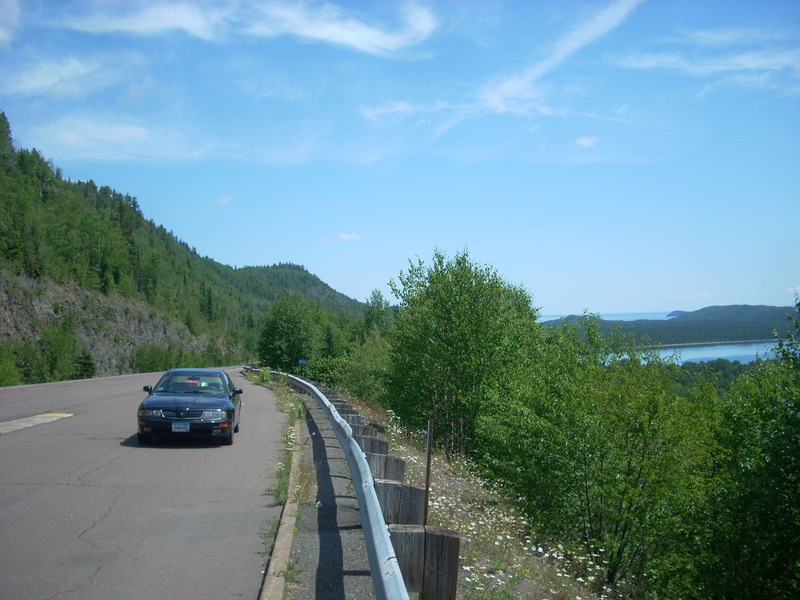 Hop back in the car and keep heading south to the next stop. Next up is one of the more recent additions to the Enchanted Highway, the aquatic-themed “Fisherman’s Dream.” This scene features a handful of different fish in a lake of wire mesh and pipes. The president most closely associated with North Dakota, Teddy Roosevelt, gets the royal treatment the Enchanted Highway’s next pullout. The nearby Badlands are home to Roosevelt’s ranch home and the National Park is named after him too. 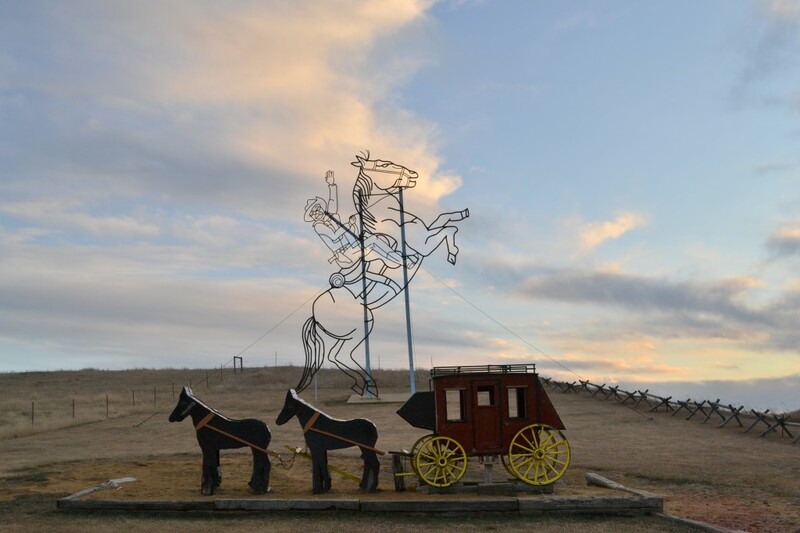 This one shows an outline of our man on a bucking horse, with a stagecoach in the forefront for the kiddo’s to play on. 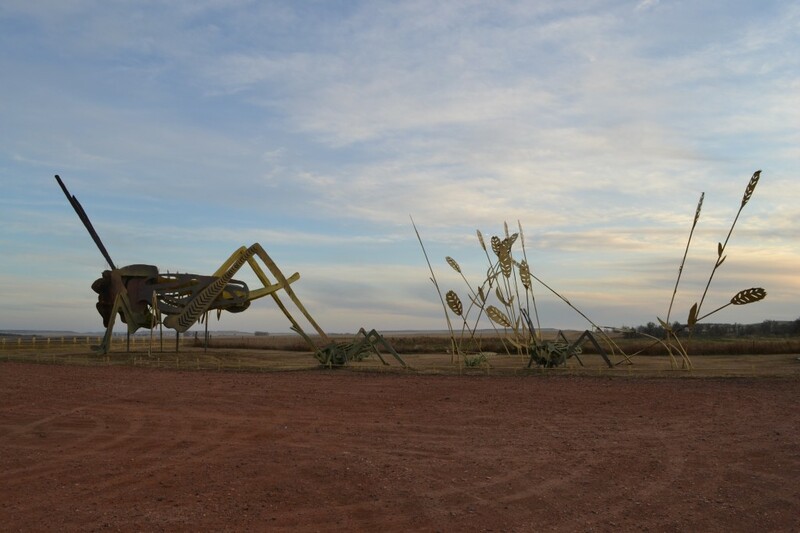 The last of the giant sculptures on your 32-mile journey is a personal favorite of mine. 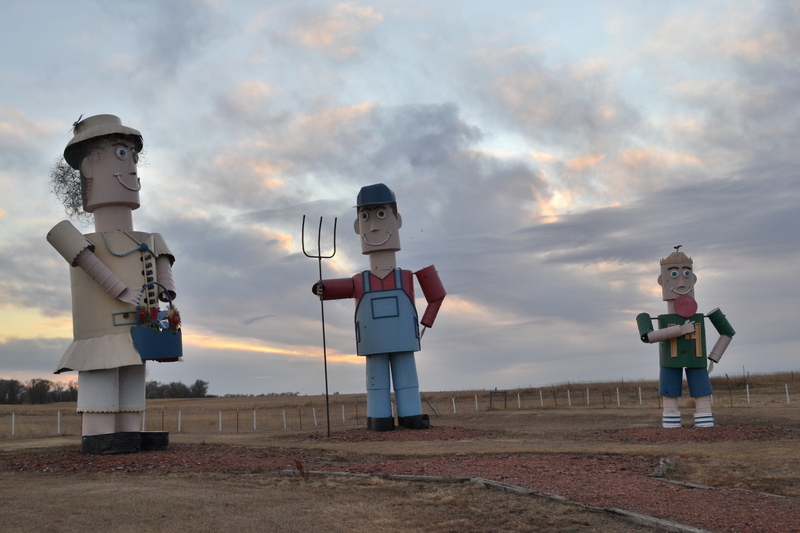 The “Tin Family,” features three large folks made from farm tanks, telephone poles, barbed wire, and other scrap. Interestingly, my dad, who is a close friend of the Enchanted Highway architect, painted these bad boys. As you pull into Regent, the southern terminus of this whimsical journey, the trip isn’t over quite yet. Right downtown you will find a bonus attraction: The Whirley Gigs. This scene of a family in a house comes alive at the push of a button. Each character moves up and down at your behest. When you are done with that, head into the gift shop next door where the man behind it all, Greff, will likely be working. Pick up some Enchanted Highway merchandise and hear about the newest planned additions to the set. And if all that wasn’t enough fanfare for one day, just down the road in Regent is the Enchanted Castle. 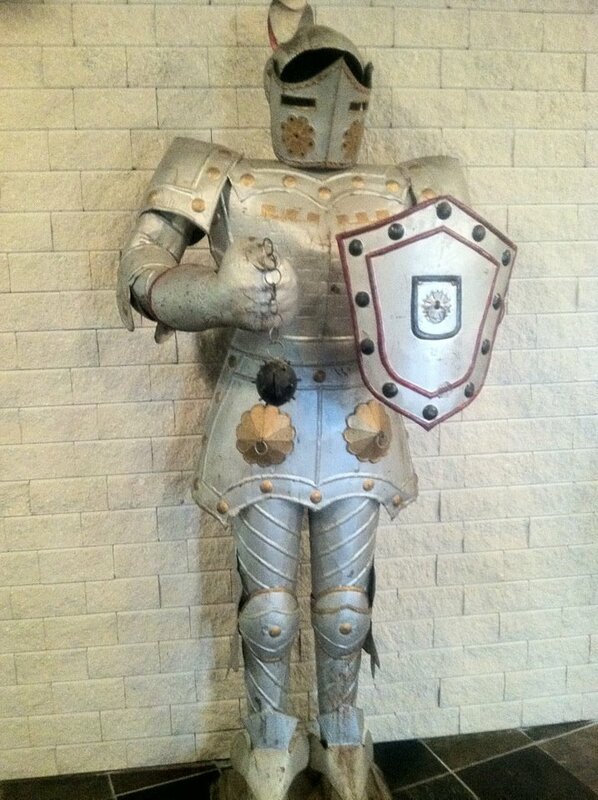 A work in progress, Greff has transformed the defunct high school into medieval-themed hotel. The facade is a hand-built brick battlement wall with a drawbridge. 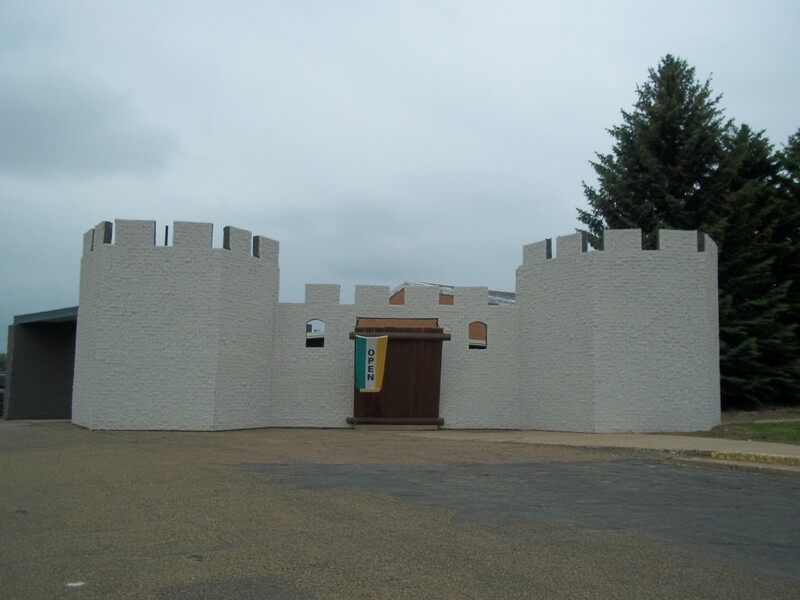 Inside that is a fountain and the entrance to the lodging, which features suits of armor and torchlights. Read more about it here, a fantastic article in the Bismarck paper, written by my journalist aunt Lauren Donovan. It’s quite the draw for a town of 160 people that for a long time has seen a diminishing population. What’s more inspiring is that Greff does this all on his own, relying on donations and volunteers and his own ambition. 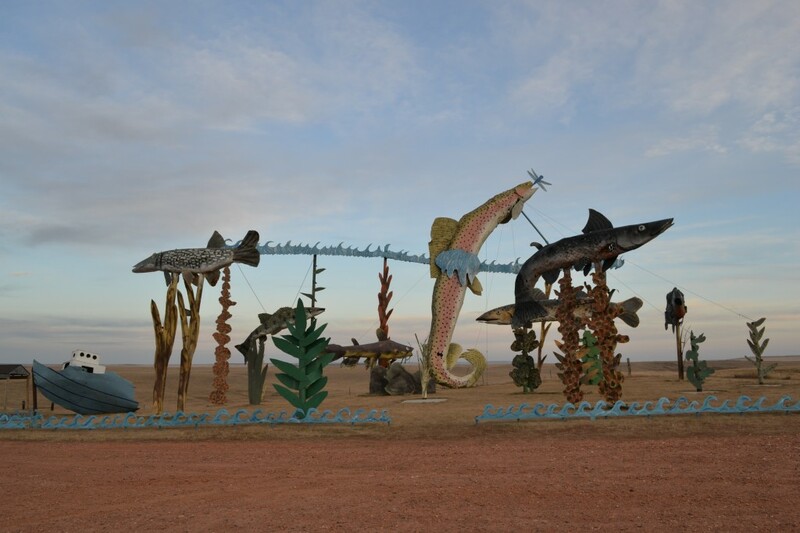 Time will only tell what is next for this town with the oil boom slowly creeping closer. While in the area: Swing over to Mott, ND to see where my Dad calls home and go hike atop a nearby butte for a panoramic scene of “God’s Country.” Wild game is abundant out here, and many hunting enthusiasts flock to this area each year as well. 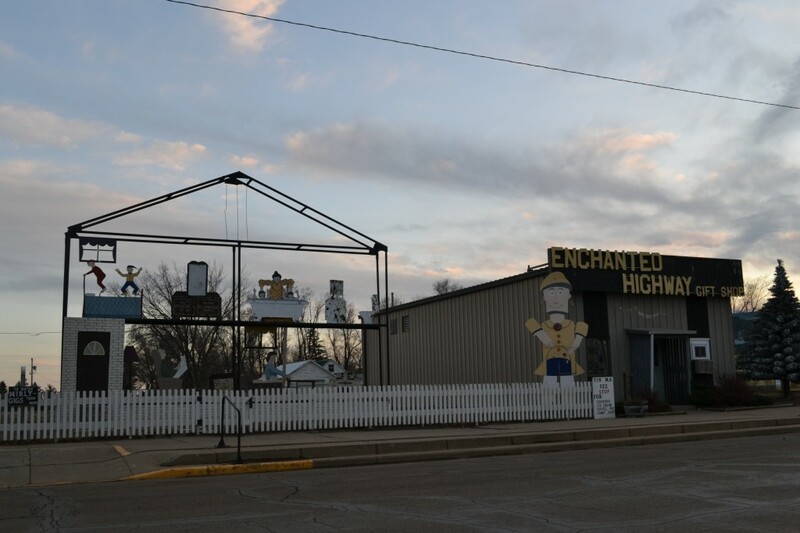 This entry was posted in Highway Highlights and tagged Enchanted Highway, ND, Regent, Roadsite Attractions by Seth5544. Bookmark the permalink. Can’t wait to drive this highway. North Dakota is one of the two states we have yet to visit! It’s a great state and the Badlands are the highlight. They aren’t terribly far from the Enchanted Highway either. Thanks for reading!